An MIT degree confers instant credibility, even if you’re trying to become a game show host, like I was some years ago. 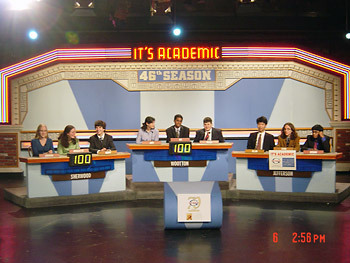 I was auditioning to host a show in Washington, DC called It’s Academic. It’s basically Jeopardy for high school students. “I’m pretty sure it’s chlorine,” I said. The judges knew I was from MIT, so they trusted me and overruled the card.